Johnson Controls' investment will be recognized in the Center for Family History. 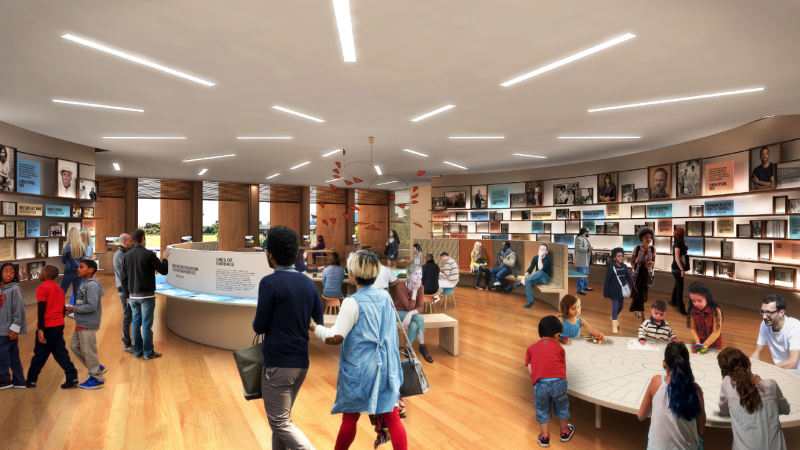 CHARLESTON, S.C. (March 28, 2018) – The International African American Museum (IAAM) announced today a $1 million gift from Johnson Controls, a catalytic leadership investment that comes ahead of the museum’s anticipated groundbreaking later this year. “Receiving this level of support from Johnson Controls, a global company based more than 1,000 miles away from Charleston, speaks to the national and international nature of this institution,” said IAAM board member and former Charleston mayor Joseph P. Riley, Jr.
Johnson Controls serves some of South Carolina’s best-known institutions, including the University of South Carolina, Clemson University and the Medical University of South Carolina. “A fundamental value of Johnson Controls is to make a difference in the communities we serve, and we are proud to support the International African American Museum, which will help tell the stories of many of these communities around the world for generations to come,” said George Oliver, Johnson Controls chairman and CEO. Johnson Controls took an interest in the museum in part because of its commitment to diversity and inclusion, a foundational value of the corporation. Johnson Controls’ investment will be recognized in the IAAM’s Center for Family History, a leading genealogy archive that will leverage databases and DNA testing to help individuals identify their ancestors, countries of origin and even living relatives. This pillar of the museum will fuse past, present and future, as it empowers people of African descent to uncover their personal histories, enhance their understanding of their own identities, and assist them in connecting with unknown relatives. Next post Charleston Needs That African American Museum. And Now.